Only one payment per month is required during the term of the IVA unless you are in the position to opt for a lump sum IVA. This payment is distributed to the creditors through your Insolvency Practitioner (IP) so there is no complicated financial calculation to undertake. 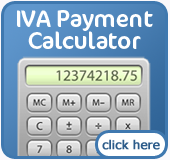 It is imperative that these payments are not defaulted on as this can lead to a failed IVA. In this situation creditors are then free to pursue alternative action to recuperate the debt that you have amassed. 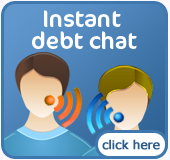 The amount of the repayment may be changed if your income decreases or increases. These terms will be set out in the original proposal. There is usually a yearly review conducted by your IP where these changes would be looked at and a new payment schedule could be calculated. Your creditors would have to approve these changes as well. If your income is decreased to the point that you are no longer capable of meeting your monthly payments than a review should be arranged with your IP immediately. The IP will then try to negotiate with creditors for a decreased monthly payment, which may result in an increase in the term of your IVA. It is also possible to take months out of the payment plan due to an extreme decrease in income, possibly due to unemployment. These months are generally tagged on to the end of the term of the IVA though. It is possible to complete an IVA early if you get a windfall of money, which provides enough funds to pay off the amount left on your IVA. It will then be necessary for you IP to arrange another Creditors Meeting to seek approval of your offer of a lump sum early settlement, which will lead to an early completion of the IVA arrangement. Most creditors will agree to this because it means they will be getting paid much sooner than the original terms.